Reading Terminal Market Reading Terminal is a place filled with great food, so it’s no surprise that you can find one of the city's best donuts in the sprawling market. Manned for years and years by the Pennsylvania Dutch, you can choose from around 40 (!) different varieties of fried donuts at Bieler's -- everything from traditional yeast (think light and airy) to bolder flavors like apple cider or peanut butter & jelly. And they're only 90 cents a pop, so load up! 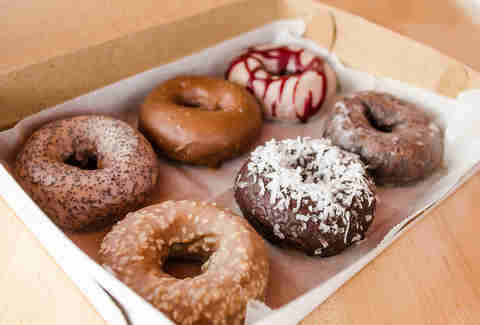 For some great donuts on the go (literally -- it’s a food truck), Undrgrnd Donuts should be on your list. 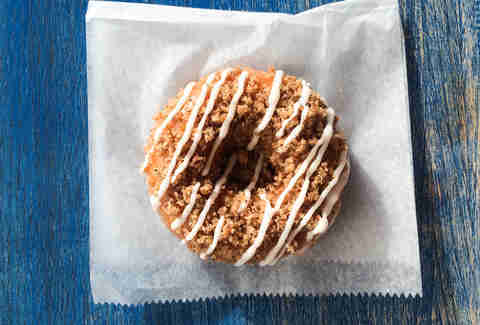 The truck is currently on a brief winter hibernation, but once they return, track them down on Twitter to try original flavors like the Camping Out -- a donut ode the the s'more -- and the bacon-topped Homer. West Philly Proving that donuts can still be healthy(ish? ), Dottie’s has been a vegan favorite the past two years. This month, Dottie’s will finally be opening a brick-and-mortar location in West Philly serving 12 different daily varieties -- until then, you can still snag them at one of two dozen coffee shops and cafes around the city, like Grindcore House, Elixer, and Arcade. 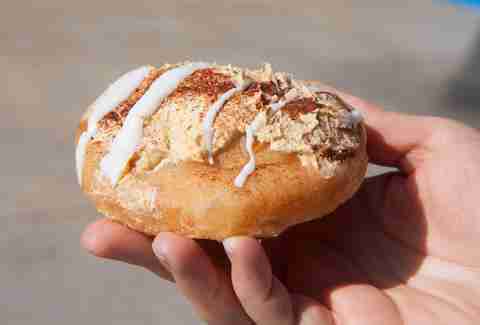 Spruce Hill For a no-frills donut experience, Donuts Plus in west, West Philly is top of the list. The staff is super friendly and prices are dirt cheap -- you’ll end up paying a little less than $3 for a donut and large coffee. 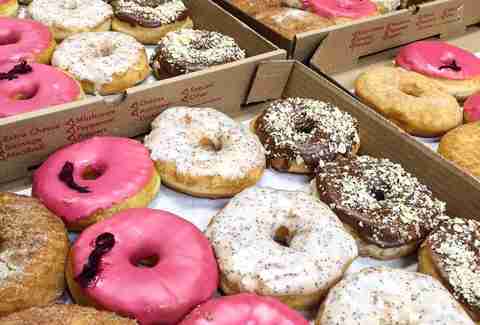 Don’t sleep on the apple fritters -- Donuts Plus might have the best version in the city. 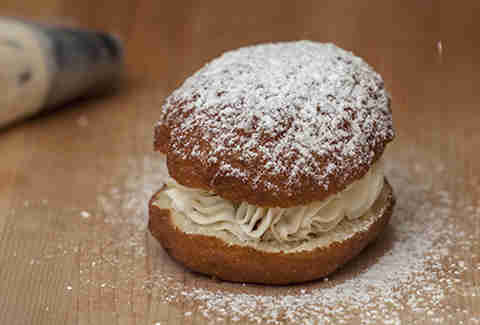 Holmesburg Technically, they do serve other types of donuts at Holmesburg bakery, but if you’re heading to the NE, it’s the cream-stuffed donuts that are the must-haves. Hauntingly good, they are well worth the half hour drive up 95 to snag a dozen. Washington Square West Perhaps better known for the cupcakes, Sweet Box in Washington Square West makes great donuts that are too-often overlooked. Baked, not fried, the donuts don't hinge on being overly sweet but still nail the sugar-laden treat. Sign up here for our daily Philly email and be the first to get all the food/drink/fun in town. Best donut experience of Dan McKay's life? Wouldn’t you like to know... Follow him on Twitter or Instagram @dannypageviews.